Mrs Brown, Maid and housekeeper of Elizabeth Lady Holland. Sitter in 1 portrait. Elizabeth Vassall Fox (née Vassall), Lady Holland (formerly Webster) (1770-1845), Political and literary hostess; former wife of Sir Godfrey Webster, and later wife of 3rd Baron Holland. Sitter in 4 portraits. This drawing probably dates from August 1833 when Landseer first visited Holland House, the home of Lord and Lady Holland and a Whig focus of political, social and cultural life in London. 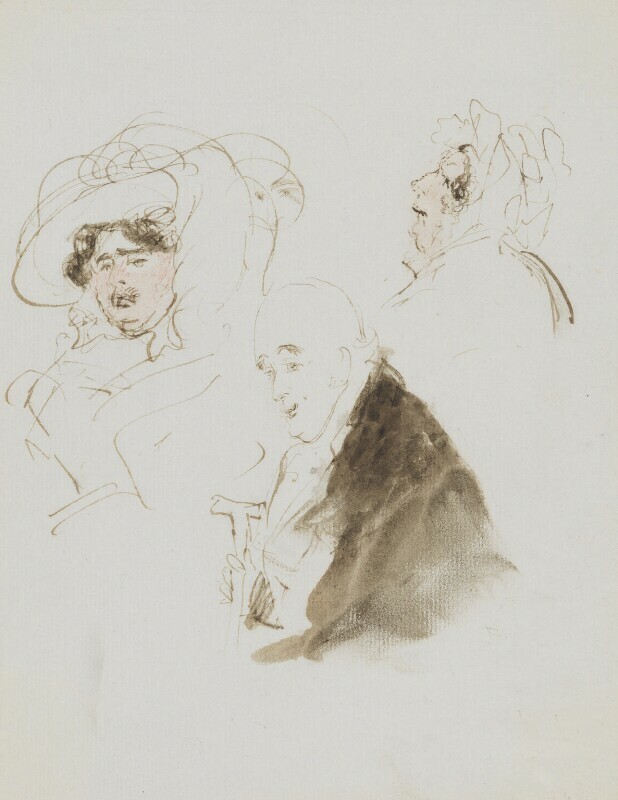 This drawing positions the benignly smiling Lord Holland between his domineering wife on the left and their formidable housekeeper, Mrs Brown, on the right.